I want to digress a bit from the usual weight loss topic. Even thought the two are kinna connected (you gat to eat well if you want great hair, skin and nails) I want to share a bit of my hair history with you. I know the relaxer babes and Brazilian queens will hiss at this post hahahaha! !, but just read for reading sake ok? Kiss kiss! As some of you know, I have been carrying my natural hair for a while now. I cut my hair after i gave birth it was sometime in January 2013. 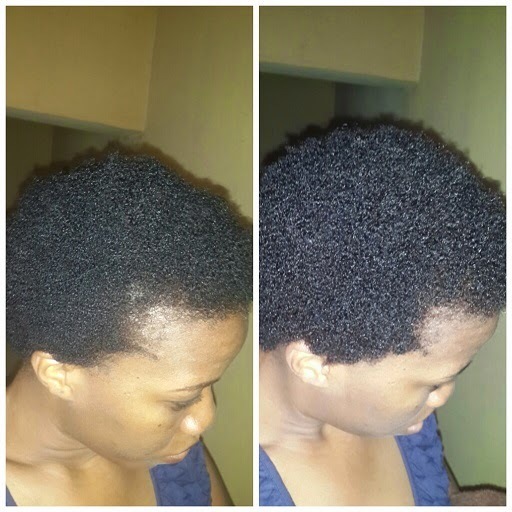 I cut it again around my birthday in Nov 2013, ever since i have been carrying my natural hair. Eating clean and exercising has really influenced my life in many ways. It made me even more determined to keep my hair, free of chemicals. I don't even fix artificial nails anymore (doesn't mean i will never tho). Also it trickles into ones spiritual life. I think it has made me a totally different person. Have you felt the same way? Kindly share. I love to see things differently now, i love to stay on the positive side of things. I feel very confident with who i am now, and its not about having money or not, its inner peace i guess. My home supplies for the sealant. * Please note that i have really dry hair,i had to adjust the recipe for the sake of my hair texture. So any recipe you see here is for really dry, itchy, full, and brittle hair. Lol. 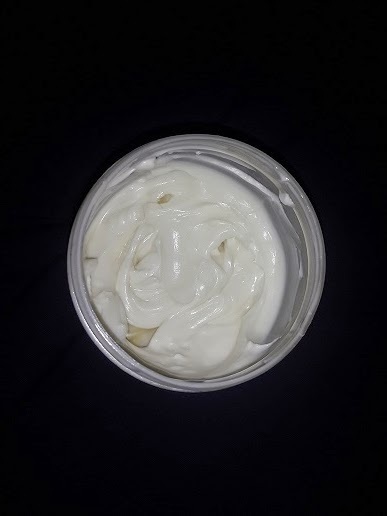 3 tbsp of pure aloe vera gel. 3 drops of any fragrance oil. 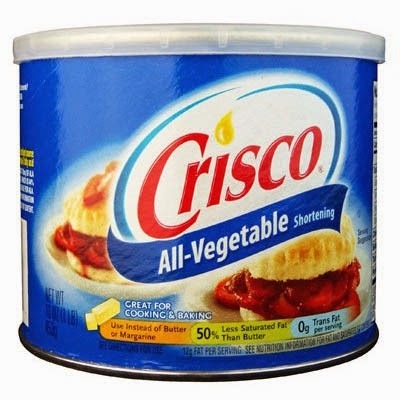 In a plastic cup, mix the Shea butter alone till its light and fluffy, then add the Crisco and mix together till they are free of lumps. Add the Aloe Vera and olive oil, mix well. Add the essential oil and mix again. You should have a creamy mixture that isn't runny. The finished product. Notice the texture? Mix all in a small plastic bowl. Apply after your shampoo and cover with a shower cap and tie a towel on top, wait 45mins to 1hr. 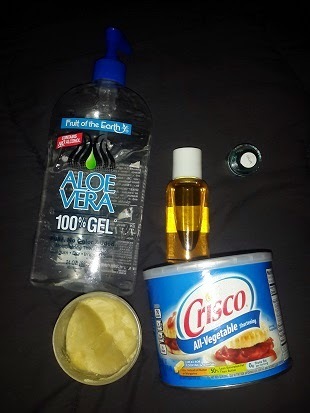 I also make my own home made hair rinse, to see if it will strengthen my hair and increase my curls. See the difference after one procedure. The difference is clear right? More volume, more shine. Mix all in a bowl . My Hair spa procedure: 2 times a week. After shampooing, i apply the deep conditioner, making sure every single corner and strand is covered. I cover with a shower cap and then wrap a towel over my head. I wait for exactly 1hr. After 1 hr, i rinse off the DC treatment with cold water. I then rinse with the moringa and Lemon mix, i wait 5 minutes then rinse off with cold water again. I am doing this 2x a week for now till i am satisfied with my hair texture. I blot my hair and apply my leave-in conditioner. I use Nene's secret LIC. Style and allow hair to shine! I need my hair to stop breaking at the tips, so i will be following the above procedure for at least 4 weeks. After this spa day, my hair (which is usually dry and brittle), is just so soft, coily and bouncy to touch. Every other day, i use just water spray, LIC and my sealant. My hair stays soft all day long. If you have dry hair like mine please try the procedure and let me know how your hair feels. In future, maybe i'll share more of my hair(and skin) regimens with you. But remember the first rule of living healthy.....eat clean and exercise!!! Take care, have a blessed weekend and God bless you. Awww sweetie thanks for reading, I really appreciate u. Big hugs. And have a fun day. Yaaay, team Natchy! Cheliz hun, u have motivated me to have a hair cut tooo. So I'm gonna need more tips baby. Congrats again dear. No probs, i am here for you anytime. Yipeee! !